Ryan and Jeanne Walker were both born and raised here in the St. Joseph area. They were married in 1997 and started a family in 2000 with their first daughter. After finishing school in Nebraska, they moved back to St. Joseph with their growing family in 2005 and began looking for schooling options for their three daughters. After much research and prayer, the Walkers enrolled their oldest daughter, Faith, in kindergarten in 2006 and have remained at the school for the past 13 years. The Walkers currently have all six of their children attending SJCS in grades ranging from kindergarten through 12th grade. We recently caught up with the Walkers to ask them some questions about their collective experience at St. Joseph Christian School. We chose SJCS for many reasons. First and foremost, we knew that if our children were going to spend a big part of their day away from us, it would have to be in a place with people that shared the same faith and values that we taught in our own home. At SJCS our children are taught a biblical worldview. Christ is at the center of every aspect of SJCS and students are equipped to become servant leaders. We wanted an environment that not only encouraged academic growth but would also foster the development of their growing relationship with Jesus. Smaller classes, strong academic programs, and quality extracurricular activities also encouraged us to choose SJCS. In what ways have you become involved at SJCS? Ryan is the current SJCS School Board President, serves on the finance committee, and is the co-worship leader for the chapel band. He has also served on the fine arts committee and the WINS program (welcoming in new families). Jeanne currently serves as PTF Hospitality Coordinator and is a lunch volunteer. 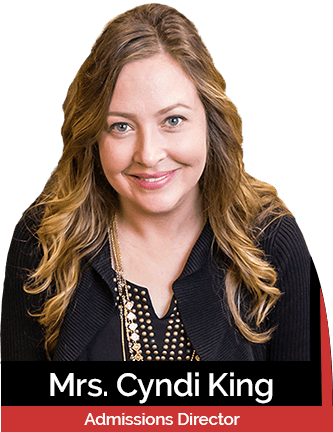 She has also served as PTF president, PTF room mom, PTF room representative, executive room mom, a substitute teacher , been part of the WINS program, and has volunteered for various other activities over the years. What do you like most about being a part of the SJCS family? Jesus is the center of everything that is done at SJCS. God’s Word is the foundation for everything that is taught to our children. We also like that the school is like one big family. The staff and administration care about our children and the families love and encourage the staff. There are many opportunities to come together and pray for our students and school. We celebrate together in the great things God is doing at the school, but also pray for and encourage those families going through difficult times.